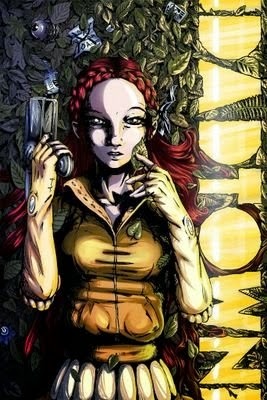 Writer and RAW fan Adrian Reynolds has launched a new science fiction webcomic, Dadtown, which is being serialized on the web, with new episodes added every Wednesday. I just finished reading what's posted so far, and it's in the middle of exciting events. Very colorful, with good art and an interesting story (drawings by Raben White, coloring by Jess Parry). If you missed Adrian's "Press When Illuminated" video, you should certainly check it out.